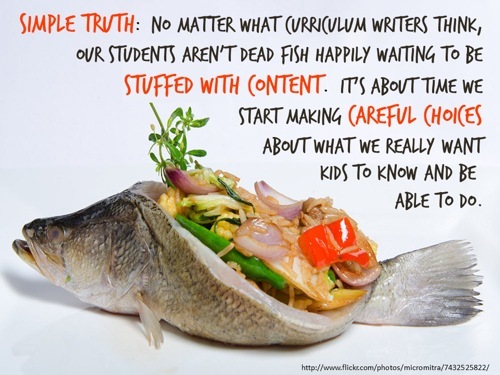 Here’s an absolutely wonderful 2-minute video from Elad Segev on creativity and classrooms. Happy viewing! 1. Decide on a catchy title for your campaign. How about Breaking the Monopoly of Mediocrity? Nice title! Pat yourself on the back! Wait a minute… Does this mean that the U.S. Chamber wants to be mediocre but someone else holds the monopoly on that and thus is preventing the Chamber from also being so? No, silly goose. 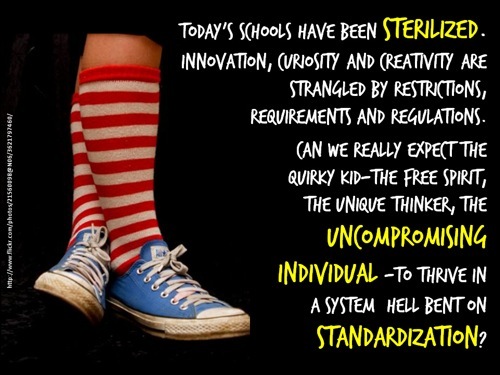 It means that public schools are both a monopoly AND mediocre and thus need to be broken up! 2. Create made-up statistics to prove your point. 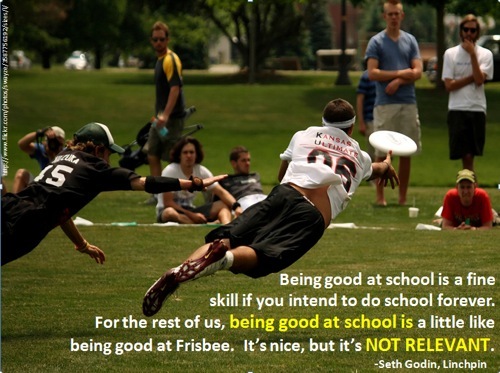 How about Approximately 70% of middle school students score below grade level in reading and math? Perfect. This statistical sound bite sounds terrifyingly awful. Of course we must do something about this immediately! Because, hey, we’ve got a campaign to run and people to scare and other groups that also will spread the same inaccurate data (thank you, StudentsFirst!). What does it matter if our essential premise is untrue? 3. Come up with splashy, eye-catching graphics to reinforce your misleading and untruthful message. You gotta have color-coded maps. Lots of ’em. And make sure you use selection criteria that are guaranteed to reinforce your message. 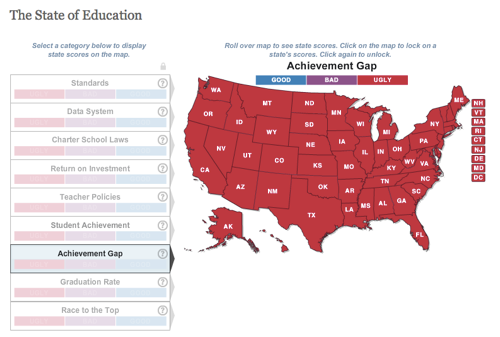 For example, how about this map, which shows that achievement gaps in EVERY state are not just bad but downright UGLY? Or, even better, this map that shows that overall achievement is horrendously UGLY in… wait for it… EVERY SINGLE STATE?! Sorry, Massachusetts, we know that you beat Finland handily on the TIMSS math test, but we set the criteria so that your student achievement is UGLY. Sorry, Vermont, despite your reading levels being on par with Singapore, New Zealand, Japan, and Canada, your student achievement is UGLY too. Sorry, North Carolina, even though if you were a country you’d be in the top 10 worldwide in math, your student achievement is UGLY, UGLY, UGLY. Sorry, America, it doesn’t matter that your students’ achievement on international tests is closely tied to your high levels of poverty. You don’t have a single state – not even one! – that falls into the BAD or GOOD categories. Every state is UGLY with a capital ugh. Just like maps, you gotta have report cards. And fact sheets. And playbooks. And movies. And whatever else you can think of to reinforce and spread your scary but untruthful message. Also see Handy Tip 1 above. Create example messages and tweets for others to use. Set up a Facebook page. Make hashtags like #breakthemonopoly and #jobs13. Pay for sponsored tweets on Twitter. Again, remember, it’s not about the truth. It’s about spreading your message to the public and to policymakers. 7. Spend a boatload of money. And finally, of course, spend tons of money on all of this and more. How about a nationwide tour where you spread your message to anyone who will listen (complete with media coverage at every location)? How about an email newsletter that you can use to pepper folks’ inboxes with even more inaccurate data? How about conferences and webinars and summits and forums and workshops and conference calls? Sure, why not? After all, you’ve got to outspend those evil teachers’ unions! And, that, dear readers, is how you wage war on public schools. 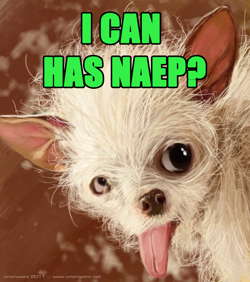 What, you say you want to defend public schools? Hahahahahaha! Oh, you’re serious. Okay, then. Better do all of this and more… Good luck!